Clifton Park, New York – As your kids finish up the school year and get into their summer schedule, plan for a little educational fun! 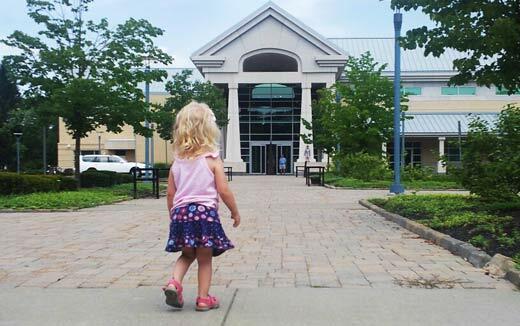 This summer the Clifton Park- Halfmoon Public Library is offering two programs and weekly events that will encourage your child to read. They will spark your child’s interest and open their eyes to the fun of reading. Make a Splash Summer Reading Club is offered for school aged children (entering grades K - 5 in the fall). The program is offered at libraries across the state and allows kids to get excited about reading. Members must read 500 minutes total or 20 minutes a day, for 25 days. Successful readers will receive special, weekly prizes and tickets to the Reader Celebration! Make a Wave Teen Summer Reading Club is offered for teens (entering grades 6 and up). This program will guide discussions on books and the meaning found in them. The goal for each member is to read 20 hours by August 15th, 2010. There are weekly prize drawings and if you successfully complete the required reading you will be entered to win an iPod! Both reading clubs offer weekly events that take place all summer long. Registration is required for the Summer Reading Club and for the majority of scheduled events. Registration begins on June 21, 2010. So sign up today! For more information call the Clifton Park- Halfmoon Library at (518) 371-8622. 8/11/10 - Splish Splash! Its Magic! 7/15/10 - Become a Mathlete!